Are you ready for the Spam throwdown? 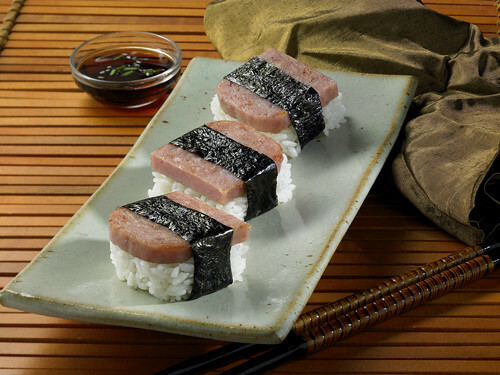 Ok, I have to admit, as a local girl here in Hawaii, its hard not to love spam. I always have some in the pantry. I know its not that good for you, but its not like I eat every day. That being said, we all love a great challenge, and SPAM is cooking up a throwdown with a regional twist. So put on your cooking hat, and think of the best spam recipe you have made and throw that hat in the ring. I want to see Maui win. Local foodies across the U.S. are putting their hometown pride on the line by using a special canned meat to add a unique twist to famous regional dishes for a chance to win big. ® products to the Dish This! recipe exchange at www.spam.com. Once you receive the e-mail that your recipe is published, we encourage you to share it with your friends and family via e-mail, post it to Facebook, Tweet it on Twitter – get the word out for them to vote your recipe to the top.